Enter “iron” Jack Russo. able to drop newbs with a single headshot and the king of online games. At least he used to be before his sister got pregnant, and he had to get a job to help take care of them. 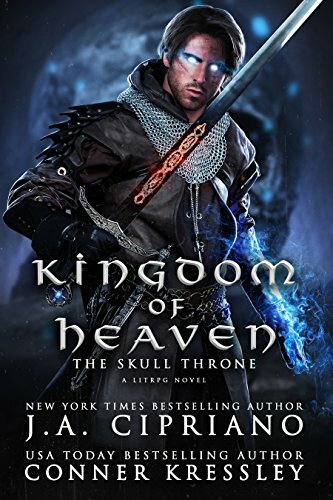 But when a particle accelerator explodes, causing Jack to get stuck in his favorite game “Kingdom of Heaven” he’ll have to conqueror Heaven and seat himself on the skull throne. If not, he’ll be trapped in the game forever.